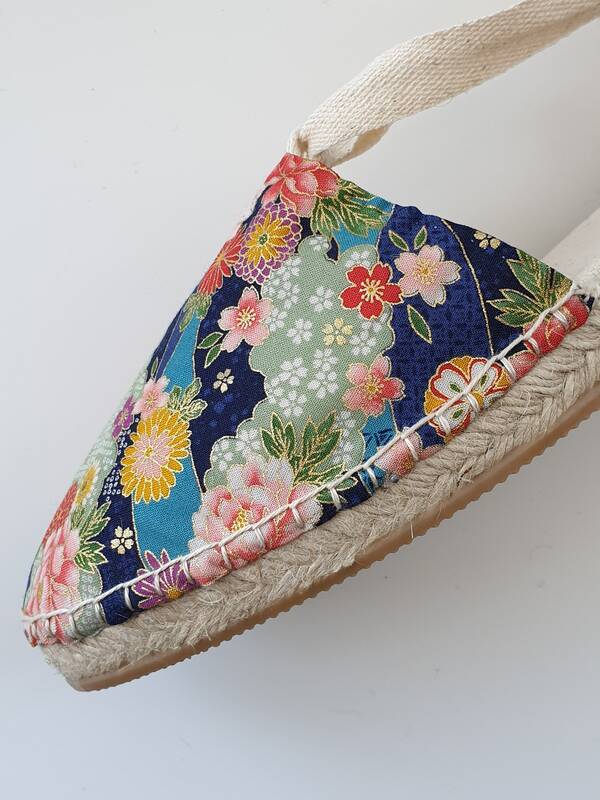 Rope sole lace-up flat espadrilles in a japanese pattern. 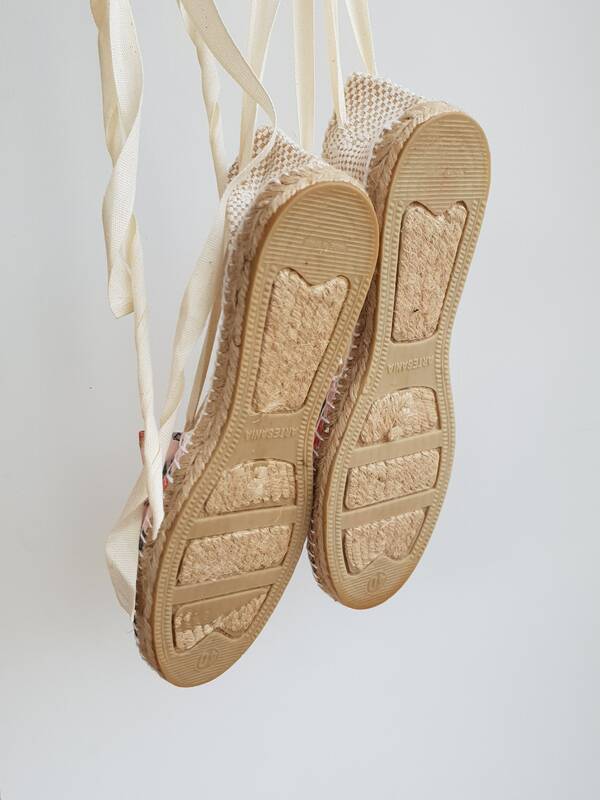 The rope soles are antislippery, covered with rubber. 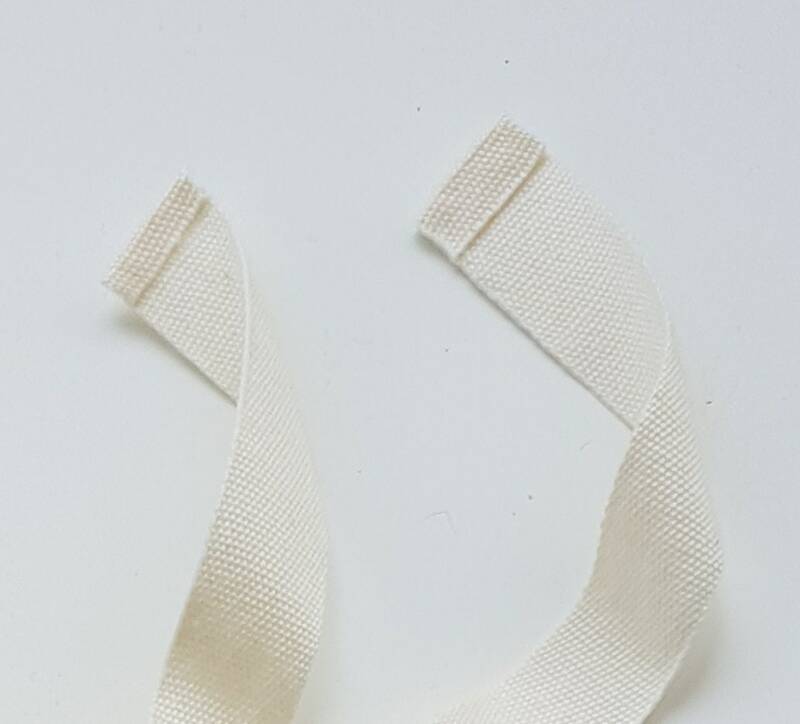 The insoles are made of rope.